The art of Bagh printing can be traced to Sindh, which is now a part of Pakistan. It then moved eastwards to Rajasthan and later to Madhya Pradesh with the migration of the craftsmen. The style of Bagh printing has evolved and gained uniqueness over the past few years. The present form of Bagh printing actually started in 1962 when the craftsmen migrated to the neighboring town of Bagh situated in the Dhar district of Madhya Pradesh and hence Bagh has always been related with this printing style. Bagh printing is essentially block printing, which is a technique that has been performed for several centuries. The earliest evidence of block printing dates back to the time of Alexander, wherein he has specifically mentioned India’s ‘beautiful printed cotton’. 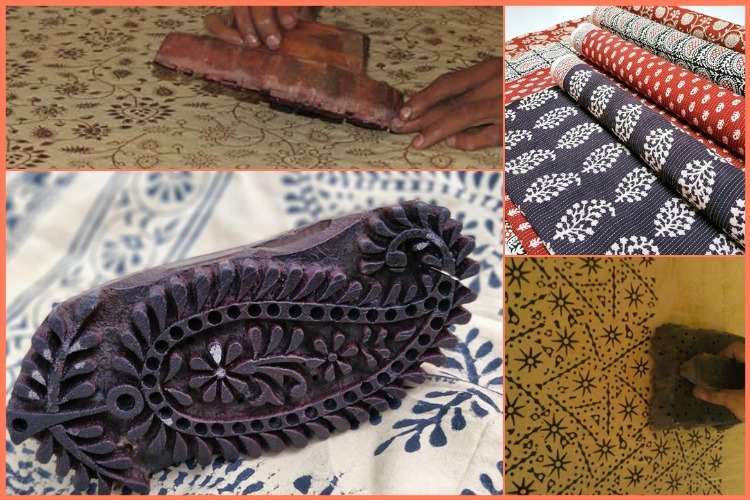 However, there is some evidence that goes onto prove that block printing was also popular in the Indus Valley civilization, hence using the printing blocks for textile printing can be dated as far as 3000 BC. Bagh printing mainly involved blocks that are carved onto motifs that represent flora such as jasmine, mushroom, and lehariya and so on. There are some prints that were inspired by the jaali work that enhanced the Taj Mahal and various other forts. Inspiration is drawn from landscapes and geometrical figures. The motifs evoke various moods in the serenity of the prints and that is the most popular element of Bagh prints. Bagh printing is sourced and exclusively conducted in the Bagh village. It is controlled and operated by five-six Muslim Khatri households of Bagh who are also the proprietors of the manufacturing facilities at Bagh. Bagh prints are primarily floral and geometrical in their patterns and the blocks for Bagh printing are crafted with significant skill by block makers that reside in Pethapur, Gujarat. Bagh prints are very trendy, especially because they can give a very nice ethnic twist that emits simplicity yet sophistication.